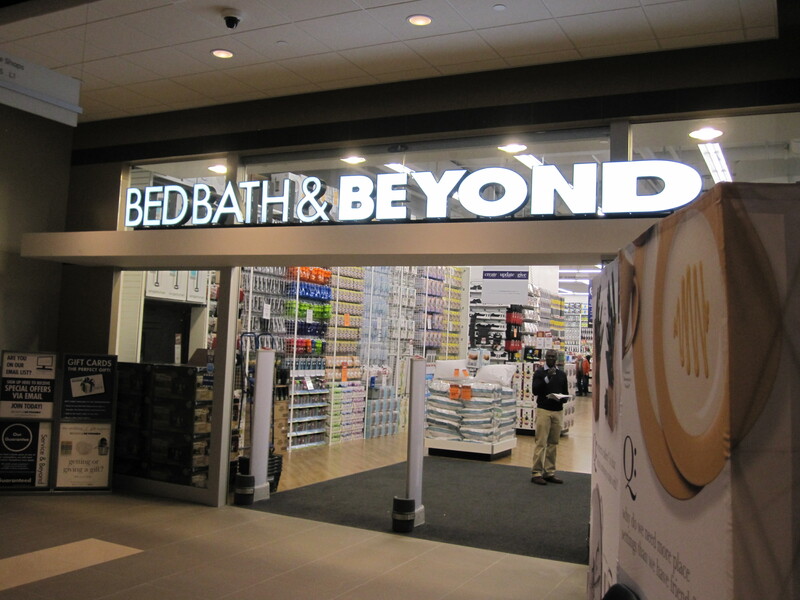 When I heard that downtown Toronto was getting a Bed Bath & Beyond location, I imagined something considerably smaller than the giant big box stores in the suburbs of the GTA. 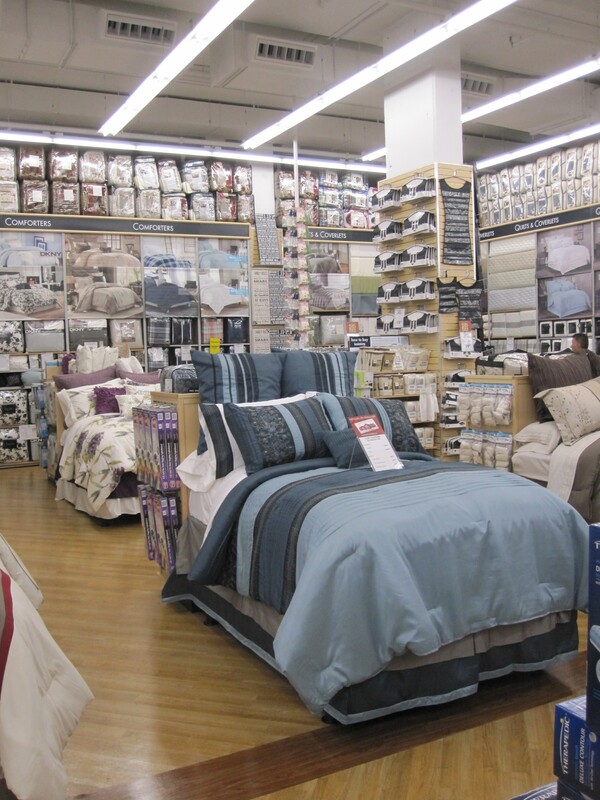 Surely, I thought, there won’t be space for the dozens of aisles of duvet covers, kitchen utensils, vacuum cleaners, juicers and many, many other products spread out through the American home furnishing chain’s large stores. The entrance to the store, inside the Aura tower. But wow, was I wrong. It turns out the new store, located on Yonge Street near College, is actually 60% larger than most of the retailer’s stores. The Bed Bath & Beyond store is located on the second floor of the new Aura condo tower at College Park, at 382 Yonge St. Even though the condo tower is still under construction – and will be for the foreseeable future – the base of the tower is complete, and so Bed Bath & Beyond has managed to open the new Canadian flagship store just in time for the holiday season. Upon first glance, the store doesn’t seem too large, since only a small section is visible from the entranceway. But the vast scope of the store quickly becomes clear as you navigate the maze of sections, with no exit in sight. 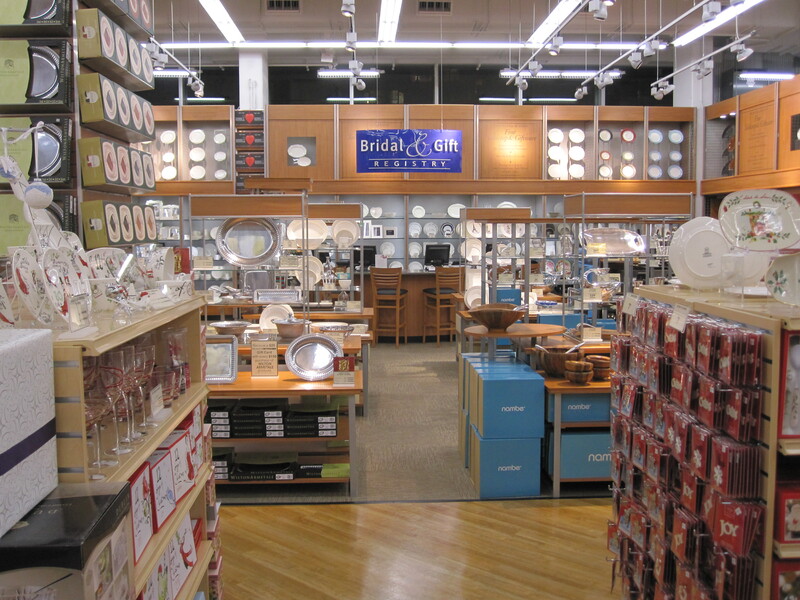 The store carries essentially everything you could ever want for your home: cookware, kitchen tools, dinnerware, glassware, cleaning supplies, curtains, towels, bathroom accessories, light fixtures, wall décor, bedding, storage solutions, and much more. It’s also the first of the chain’s 33 Canadian locations to carry luggage – an item that’s generated strong sales in the company’s U.S. stores. While the selection can be overwhemling, the store’s staff make it easy to navigate. During my first visit to the store, I must have been greeted by nearly a dozen friendly staff members scattered throughout the store to help customers find what they’re looking for. The wedding and gift registry section in the new store. With home furnishing retailers generally easier to find in the suburbs than the downtown core, I was thrilled to see one open its doors in an urban, subway-accessible location – and even more thrilled to see the exensive selection inside. It means condo-dwellers no longer have to venture outside of the city for a decent selection of household staples, and for the benefit of those of us without wheels, the store even offers same-day home delivery. The store is now open, so next time you need a spatula, hand towel or blender, be sure to check it out! I would love a huge store like that in Victoria! There actually is a location in Victoria!